Before going into the how-to guide, take a look at "what is DVWA?". 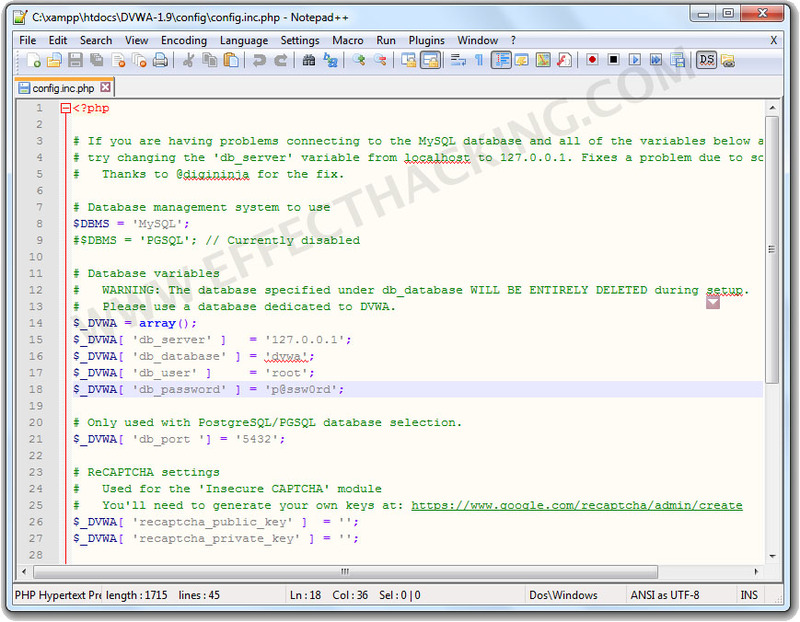 DVWA is a PHP/MySQL web application that is damn vulnerable. It is a safe and legal platform for penetration testers to test their skills and tools. And if you are a web developer you can use this damn vulnerable web application to understand the process of securing your web applications. 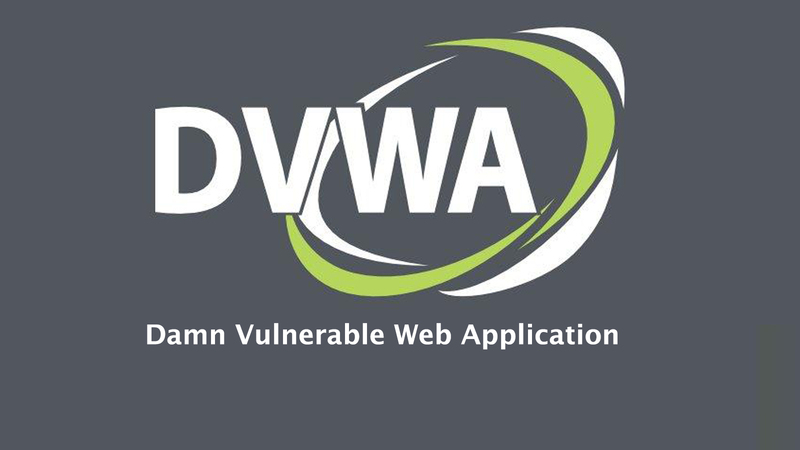 DVWA allows you to learn more about some of the most common web vulnerabilities. Using various difficulty levels, you can measure your skill level and improve yourself. Note: Damn Vulnerable Web Application (DVWA) contains both documented and undocumented vulnerabilities. This is intentional. You are encouraged to try and discover as many issues as possible (Full path Disclosure, Authentication bypass, and some others). 2. Download DVWA. Then extract the zip file to the htdocs folder. The htdocs folder can be found at C:\xampp. Note: Don't upload it to any internet facing servers. 5. Since the default password of PhpMyAdmin is blank, set db_password=''; (see the image below). 9. Enter "admin" as username and "password" as the password. Then click on the login button, you will see a page as shown below. 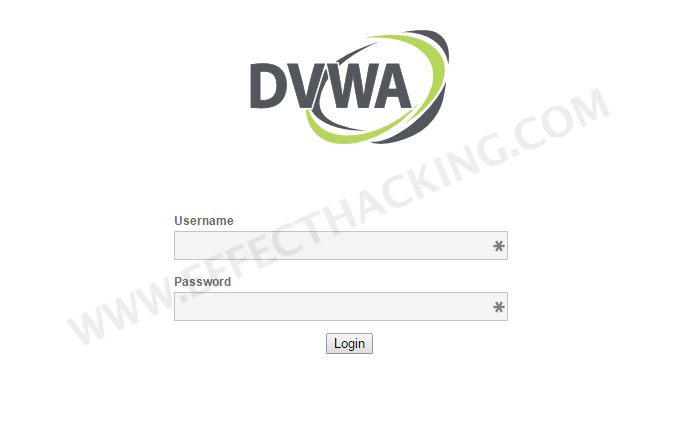 Yes, you have setup DVWA successfully. I'm getting this: DVWA System error - config file not found. 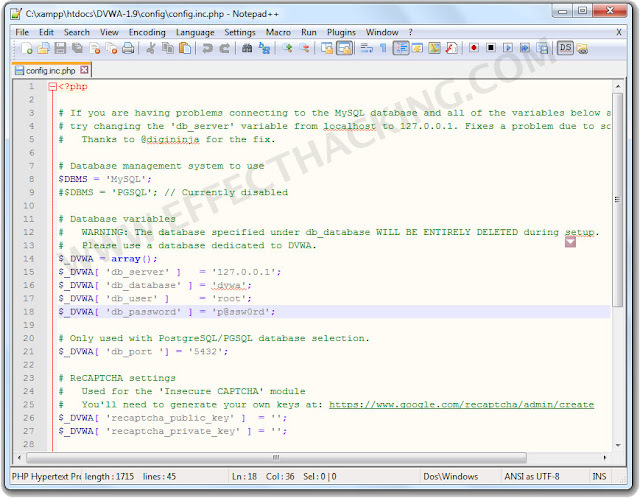 Copy config/config.inc.php.dist to config/config.inc.php and configure to your environment. I have copied it, but still not working...any ideas?..